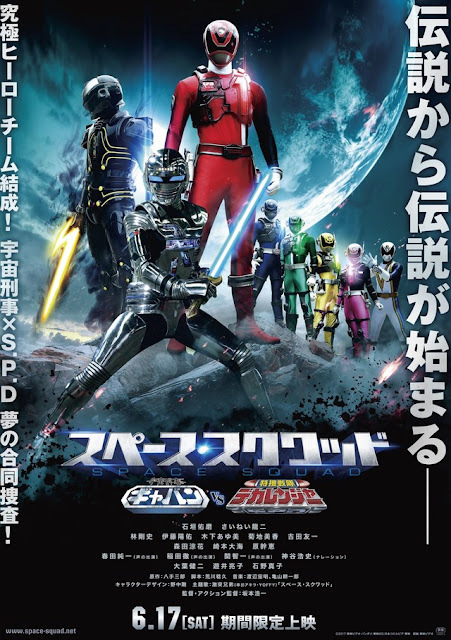 With just a month to go before the newest team-up movie premieres, the newest poster for V-Cinema's Uchuu Keiji Gavan VS Tokusou Sentai Dekaranger: SPACE SQUAD has been unveiled and it's so freakin' cool! 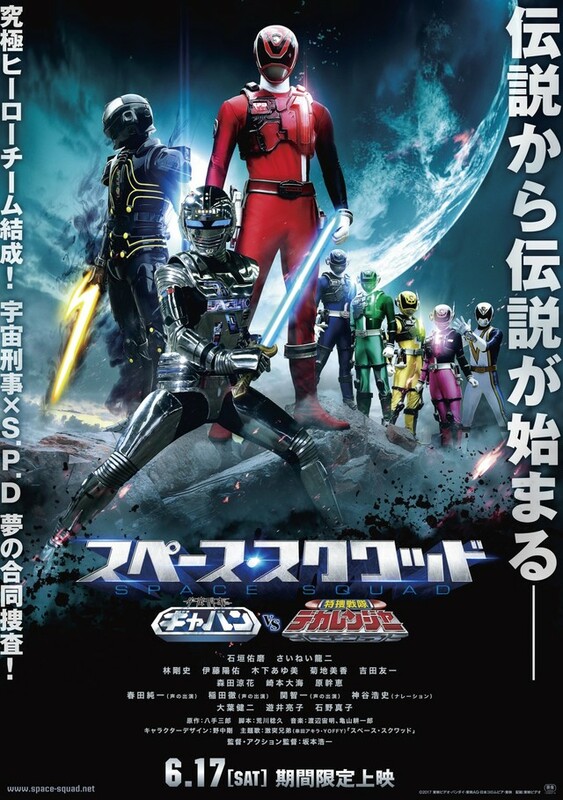 As we can see from the poster, Gavan is armed with the Lazer Blade Origin (his first sword was broken as seen in the trailer) along with the newly revamped Mad Gallant. The movie's catchphrase is also written in the poster and it reads "Legend begins from legend. a new ultimate team of heroes is formed as the Space Sheriffs forms a joint investigation team with the S.P.D!". V-Cinema's Uchuu Keiji gavan VS Tokusou Sentai Dekaranger: SPACE SQUAD will premiere in Japanese cinemas this June 27, 2017. The poster looks good, but shows a bad sign: Ban, Gavan and the other dude getting focus while the other (and way more interesting) Dekarangers are getting the shaft.